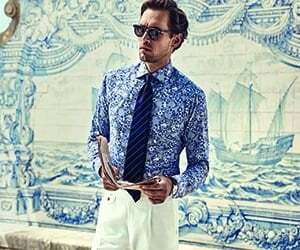 A floral micro print shirt in our crisp poplin fabric. The colour palette and the vibrant design make it the perfect shirt any look. Wear it with a navy suit for a modern business look.